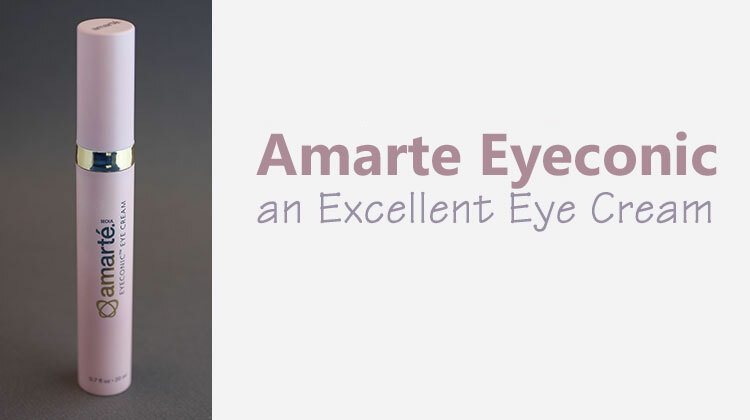 Share the post "Amarte Eyeconic an Excellent Eye Cream"
Recently, a Korean company, Amarte, sent us a complimentary eye cream from their line called, Eyeconic, for us to review. It is an anti-wrinkle cream for rejuvenating and protecting the delicate skin around the eyes. I give it two thumbs up and love using it. I really did see a difference using it. It was the first eye I cream packaged with a built in applicator that I have ever seen. At first I thought this was another gimmick. My pinky finger could apply the cream better, however, after two weeks of use I started to really like the applicator and thought it was a great added feature. After three weeks of use, I honestly did see a difference in my eyes and will probably keep purchasing, Seoul amerte Eyeconic, once the complimentary bottle is used up. I am in my late 30’s and noticed natural aging of the skin. While living in sunny Orange County, California and spending a lot of time outdoors participating in sports, tends to be very hard on my skin. I also have a busy business life and an active toddler making me lack sleep. My skin does take a beating, especially around my eyes. The regular use of, amerte Eyeconic, made my skin around my eyes seem youthful and didn’t make them so tired looking. Ingredients Include: Water, Glycerin, Argania Spinosa (argan) Kernel Oil, Retinol 3.8%, Butylene Glycol, Cetyl Alcohol, Adenosine, Allantoin, Elemental Sulfur, Human Oligopeptide-1 (EGF 2-nano), Ginkgo Biloba Nut Extract, Myristica Fragrans (nutmeg) Kernel Extract, Syzygium Aromaticum (clove) Seed Extract, Eucalyptus Alba Leaf Extract, Citrus Paradisi (grapefruit) Seed Extract, Arginine, Dimethicone, Stearic Acid, Caprylic/capric Triglyceride, Carbomer, Sorbitan Sesquioleate, Lauric Acid, Glyceryl Stearate/PEG-100 Stearate, PEG-40 Stearate, Self-emulsifying Glyceryl Monostearate, Disodium EDTA, and Phenoxyethanol. This product retails for $50 to $55 for 20ml. The ingredients include a gentle form of retinol. I found it safe for sensitive eyes and easy to use under makeup. It was so good for my skin that now I am interested in trying the entire, Amerte line, which includes, Daily Wonder, a facial cleansing foam and a hybrid cleanser/toner. They also have a Daily Exfolipowder which is from a refined plant used for daily exfoliation. Aqua Veil is a facial moisturizer and Hydrolift is a retinol cream for reducing wrinkles. Lastly, they have a Wonder Cream for lightening freckles or sunspots and Natural Finish which is a BB Cream .